Executive. Mentor. Mother. Patriot. Advocate for women’s rights. Champion of LGBTQ+ rights. Activist for American democracy. 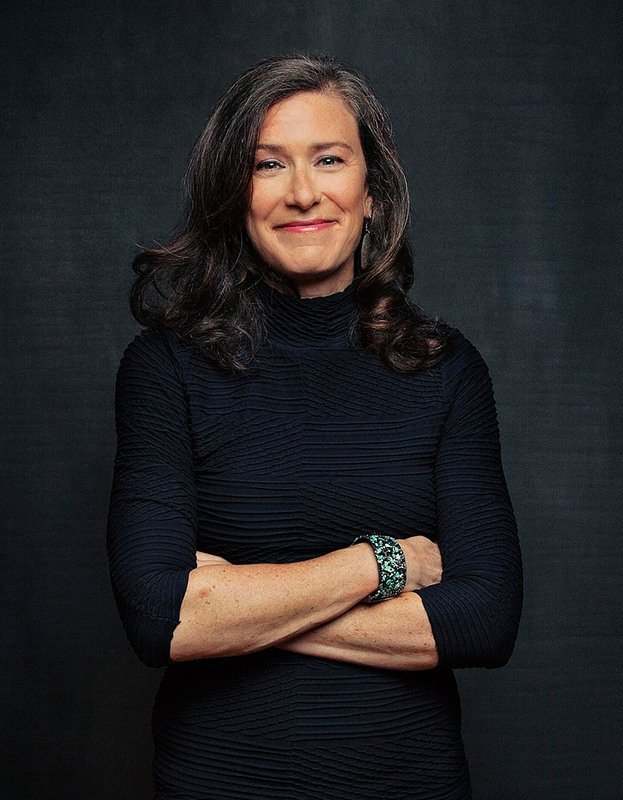 Amy Siskind is best known as the author of The Weekly List and President of The New Agenda, a non profit dedicated to the advancement of women and girls. In the house where Amy grew up in Massachusetts, the Kennedys and the Roosevelts were regular topics of conversation. She grew up to her parents’ stories about life during the Great Depression. Her Jewish heritage rooted Amy in a sense of community, history, and the urgency of seeking justice, especially on behalf of the oppressed. Amy’s mother, who served as president of their synagogue, told her tales of Eleanor Roosevelt, who became an enduring role model for Amy – her North Star. Amy would look to Eleanor not only for inspiration, but also to learn from her uncompromising commitment to making America’s democracy accountable to all and her devotion to helping those in need. Amy would also continue to draw inspiration from stories of her mother’s brother, Bernard “Uncle Ben” Lipsky, who served in the U.S. Army Air Corps during World War II. He completed one tour of duty and went back for a second, insisting on combat duty after a brief teaching assignment. He was driven by the conviction that he needed to do everything within his power to fight another authoritarian – Hitler, for the atrocities being carried out against Jews and others. Lipsky’s B-26 Marauder went down over France in a snowstorm just prior to war’s end. Seventy years later, villagers erected a monument to the flight crew – which Amy’s family discovered through her son’s internship research work on World War II vets. Amy received her B.A. in Economics from Cornell University, with concentrations in Mathematics and Computer Science. After graduating, Amy was selected by National Westminster Bank for their training program. By night, she worked toward her M.B.A. in Finance and International Business at the N.Y.U. Stern School of Business. Amy then entered the burgeoning distressed debt market. Her NatWest division head laughed at her during her exit interview, saying she would never make it on a trading floor. She replayed his words on the bad days for inspiration, as she sprinted up the ranks. Managing director at Wasserstein Perella—within a decade of college and the first woman to fill that role, no less. Co-head of a fixed income trading department at Morgan Stanley. Partner at Imperial Capital. Amy went from strength to strength, and not for her own sake alone. Throughout her time on Wall Street, she made a concerted effort to lift up other women in the industry, not just in terms of hiring but, perhaps more significantly, in ongoing mentoring. 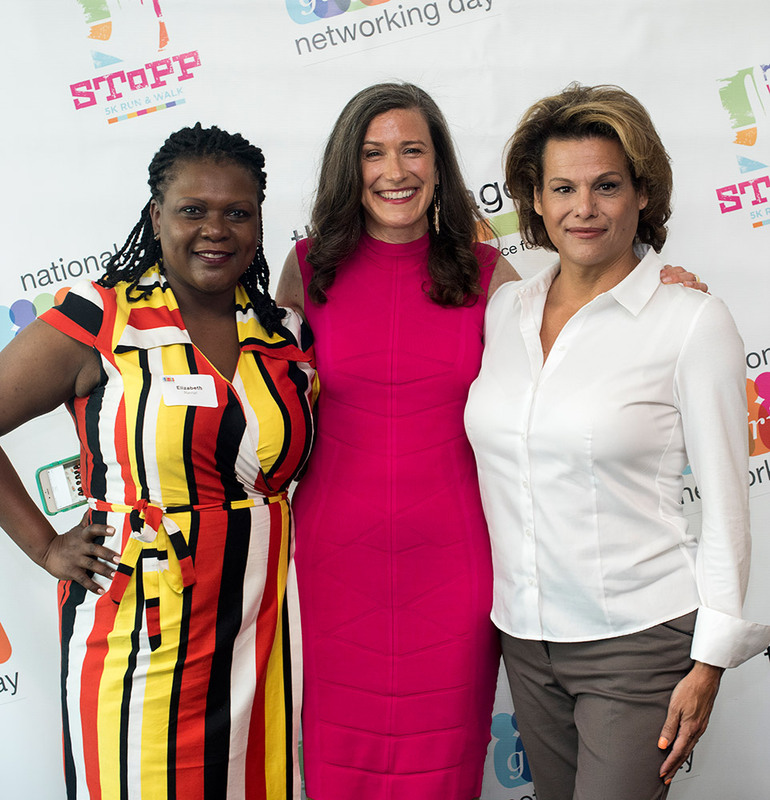 She made this latter role more formal in co-founding Damsels in Distressed, which provided guidance, career advice, and networking opportunities for young women in the distressed debt market and beyond. Amy counts among her greatest accomplishments from that time the fact that her many mentees went on to senior positions using tools and connections from the group. The perseverance, courage, commitment to teamwork, and priority of nurturing protégées that she cultivated during that season of life would continue to serve her well, even after she outgrew the industry. Shortly afterward, Amy had her first taste of political activism when she volunteered for Clinton’s Senate re-election campaign. Months later, as Clinton prepared her presidential campaign, Hope invited Amy to join the Ambassadors for Hillary, a group of prominent New York women who would be a voice for Hillary around the country. Little did they know how alive and well sexism was in our country, especially in the media. The media was focused on what was next for Hillary’s army, as was then presidential candidate, moderate war hero John McCain. He dispatched campaign surrogate Carly Fiorina to Amy’s home, and later Fiorina sought the “asks” of the new organization. The New Agenda put forth a list of six women for him to consider for vice president. One week later, McCain announced Sarah Palin – then, the most popular governor in the country – as his running mate and The New Agenda was thrust into the spotlight as a non-partisan organization, and the only group back then speaking out, as once again, a woman candidate was subjected to horrific sexism. Amy had always admired McCain and his life of public service, and for the first and only time in her life, voted in a major election for a Republican, believing McCain had honored the group’s request. After the election, the group set out to challenge both parties to do better for women. With ample room for improvement in terms of the equitable representation of women in virtually every industry, to say nothing of American public life, The New Agenda had its work cut out. Under Amy’s leadership, it sponsored mentoring programs, networking events, and a series of 5K races at several colleges to raise awareness of campus sexual assault. Using her role in the New Agenda as a platform, Amy blogged, gave interviews, and wrote op-eds drawing attention to the myriad of opportunities for the greater inclusion of women in America’s halls of political and financial power. For all appearances, this seemed to be a monumental enough task to be Amy’s life’s work. She prepared to send her daughter out into a world richer with possibility for young women than the world her own generation had known. Suddenly, this time of hopeful change ended and a new age of old fears took root. The 2016 Republican primaries and ensuing presidential election together marked the second turning point in Amy’s activist career. Indelibly impressed upon her memory were the warning signs of Hitler’s rise. No Jewish-American could forget. She saw many similar signs in the present. Trump had no vision, no compassion, and no coherent policy agenda. Instead, he offered vague slogans, demonized and scapegoated others—such as the “Mexican rapists” of his first campaign speech—as the root of America’s problems, and presented as the solution the urgency of getting rid of the Others. After the election, as a leader of a women’s organization and a recognized backer of Hillary Clinton, people asked her, What’s next? What can we do? Amy chose to read up on the uprise of authoritarian regimes, looking for clues on the steps power-hungry tyrants take as they consolidate power. Even if authoritarianism was novel in our young democracy, history would have many lessons to teach. The second Saturday after the election, Amy drove to her place of spiritual guidance: the stone cottage at Val-Kill, the home of her North Star, Eleanor Roosevelt. Amy asked herself, What would Eleanor do? That night she came home with an answer. She sketched out nine ways America’s civil norms had been undermined that week, including Trump’s verbal attack on the media, the casts of S.N.L. – even the cast of the Broadway hit, Hamilton! She paired her text with a snapshot of a tweet by a New York Times reporter, critical of his paper’s cursory coverage of the multi-million-dollar settlement of Trump’s recent fraud lawsuit. By Sunday morning, the tweet was gone, but it would live on through Amy’s work. The Weekly List had been born. Initially, Amy posted her bullet points on Medium, Twitter, and her Facebook feed. As The List grew, friends and followers told Amy they had missed some items and asked her to add source links to each bullet. She heeded this advice from Week 3 onward. Gradually, The List became more sophisticated as her audience grew. Week 9 reached 2 million viewers. At present, The Weekly List has 500,000 to 1 million views per week. Her podcast of the same name tops the charts. In book form, The List has been a bestseller. Whether by detailing the President’s attacks on the judicial branch in Week 13 or citing his reelection campaign’s payout to his own business in Week 36, Amy has been relentless in her exhaustive recordkeeping, determined to hold those in power accountable. As an unrelenting patriot, pro-democracy activist, fighter for social progress, and advocate for the marginalized, Amy strives to help others find their own voices. Her work at The New Agenda and her mentoring of young women and LGBTQ+ youth are a few expressions of this. In 2017, Amy was recognized as one of the Politico 50 because of The Weekly List. She received formal recognition from the Westchester County Legislators for her LGBTQ+ advocacy. Amy continues to lead The New Agenda’s annual events and speaks at college campuses all around the country on topics such as economic independence, professional advancement, women’s representation, and gender-related bias, as well as campus sexual assault. When she is not busy being an activist, she likes to spend her time in the outdoors, and in quaint towns with art galleries and coffee shops. 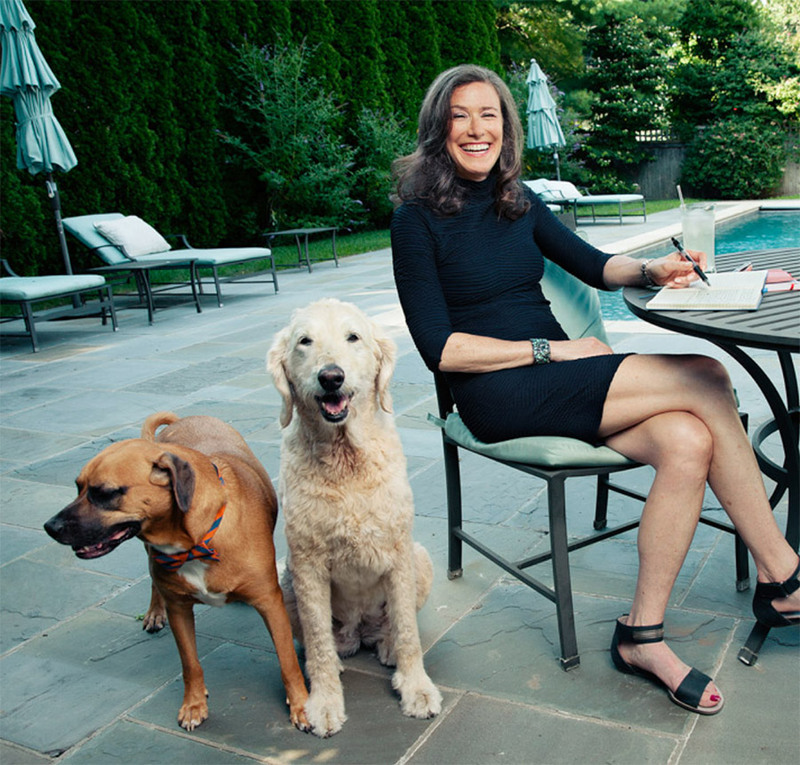 She enjoys movies, music, and, most of all, spending time with friends and family—not to mention her two famous dogs, Arleen and Shep, both named for former Wall Street colleagues. Amy’s passion for politics has remained undimmed since her involvement in Hillary’s 2006 Senate re-election campaign. 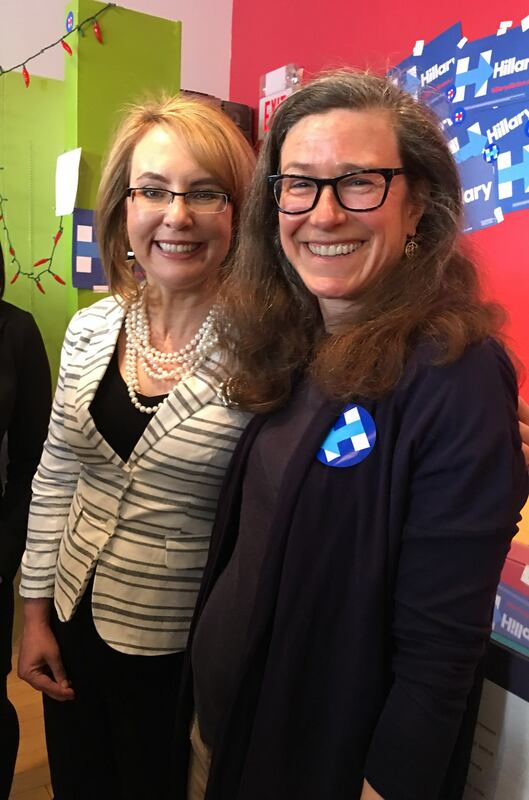 She works constantly to mentor and support women in politics. 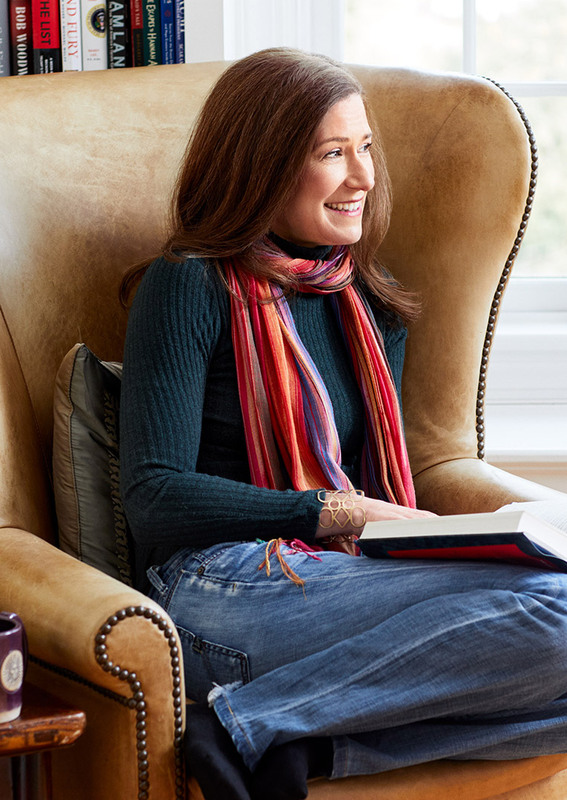 Amy’s only regret is that her parents, who had her later in life, were not around to see her first book. In 2012, her father died at age 94, having hoped to see her book project about being a woman on Wall Street get published. She lost heart for writing after the loss of her second parent, but fate would have it that she had a more pressing book to write instead. She carries her father’s watch with her to all her speeches and book events to bring him along on her journey. Amy and her family reside outside New York City.